Knowledge is the key to growing awesome roses! My Secret To Powerhouse Blooms! Want to know how so many gardeners seem to have a continuous flow of blooms all throughout the growing season? 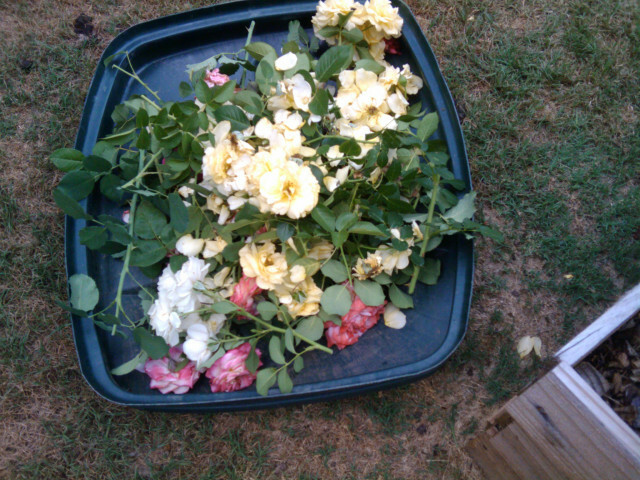 Many of them use a technique called “deadheading”. No, it does not include riding around in an old VW bus chasing some rock bank around. 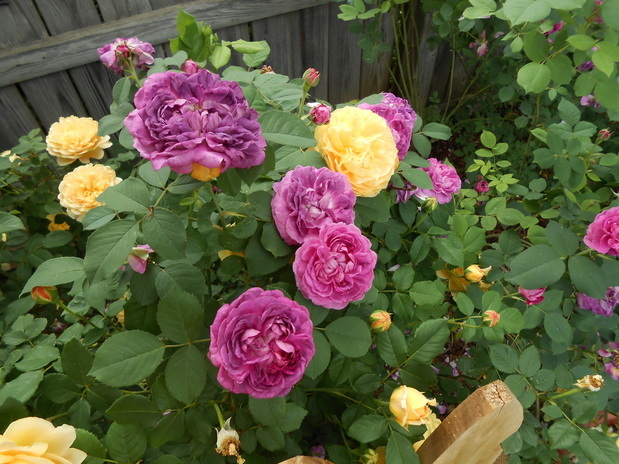 It is a method is lightly pruning your repeat blooming roses and when done on a regular basis, will produce a powerhouse of fresh blooms for your garden. Blooms of 'Don Juan' Climber, a little past its prime. Step 2: Identify a 5-leaflet set. ​It is from this point down that you want to deadhead. Please note that you will never get a new stem any larger from the one you are cutting from, so you want to deadhead at least at the 5-leafset point to ensure a strong rebloom. I try to move down the stem far enough so I cut at a point where the stem is about the circumference of a #2 pencil. 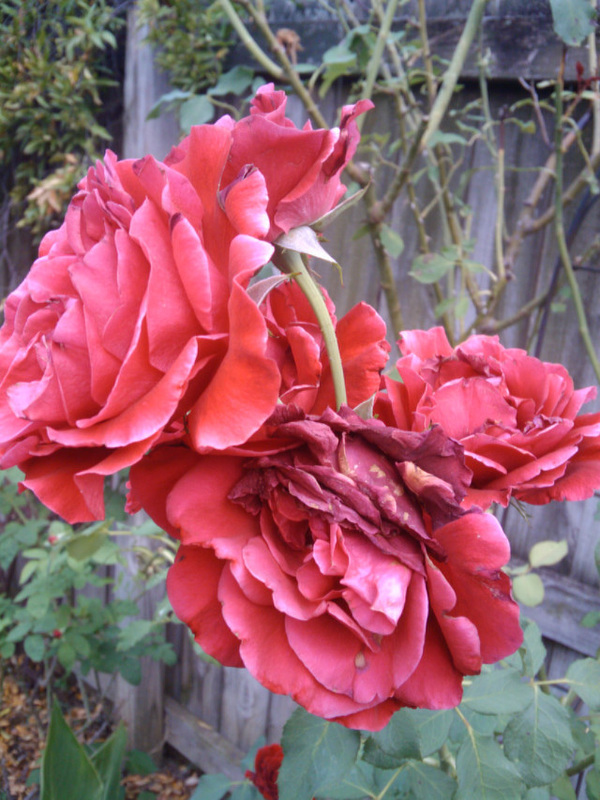 ​You want to keep the inside of your rose-bush as open as possible to promote good air circulation, so when you cut do so from an outward facing leaflet. Notice the dot at the joining point of the leaflet and the stem? That is called a bud-eye. It will be the point from which a new stem will grow. 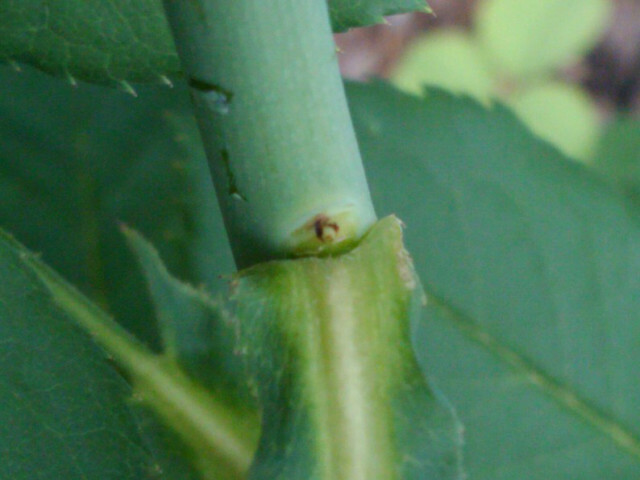 Make your cut just above the bud eye "dot"
​A new cane emerges. This is called a "stem on stem" and will produce new blooms. Following this technique will increase the number of blooms you will see and enjoy during the growing season. Enjoy your new blooms!